My tastes vary widely as illustrated by my current book list. For the past year and a half, I’ve been throwing in a Harry Potter book every few months – they’re new to me, but I love every minute of it. I started the year with the 19th Wife, a gift from my grandmother. Review coming soon. 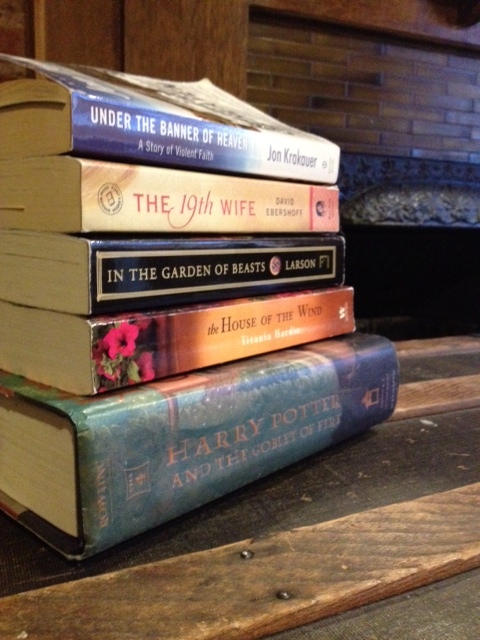 The Krakauer book stemmed from my enjoyment, no, fascination with the 19th Wife. The House of the Wind came to me from a very dear friend, and although I’ve picked it up multiple times, I haven’t been able to dig in fully. Erik Larson makes it on every “currently reading” list I’ve ever had. As long as he’s publishing, I’m reading. More to come once I finish this one as well.